Fortunately for the development of music in all its variation, especially the heavier genres, there were always bands out there that asked themselves if things couldn’t be played a little louder. Blue Cheer certainly was such a band. It’s 1968 and a big part of the music scene was embracing the progress technology had made with regard to improving amplifiers and electric guitars. Especially the possibility to significantly amplify the sound of the bass guitar made it possible for bands to play as loud as possible without losing the sound of the bass. This was the deciding development that notorious blues rock artists like Eric Clapton and Jimi Hendrix were waiting for to form their own power trios, consisting of guitar, bass and drums. Bands like Led Zeppelin and The Who in fact used the same concept, adding a seperate singer. 1967 subsequently brought us Hendrix’ Are You Experienced?, 1969 Led Zeppelin’s debut album and 1968 had Blue Cheer’s impressive debut: Vincebus Eruptum. Just like those two acts, Blue Cheer reinterpreted old blues songs and took them to higher and louder levels using loads of amplifiers. Hendrix ofcourse added the psychedelic influences that were characteristic for those times. With Blue Cheer being located in San Francisco and being called after a kind of LSD (at its turn called after a washing product), it may not be surprising that those influences are also present on their debut. If you’re looking for extensive improvisation, hyperamplification and lots of distortion, this is the album that definitely should be in your record collection. No other band of that time in my opinion had the raw intensity and energy of Blue Cheer, making them blow up their complete equipment the first time they tried to record this album. 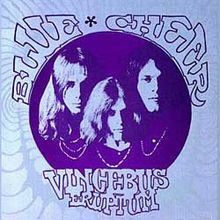 Blue Cheer was founded in 1966 with the original line up consisting of Dickie Peterson on bass (which he played since the age of 13) and vocals, Leigh Stephens on guitar (ranked 98 on Rolling Stones’ 100 greatest guitarists of all time) and Eric Albronda on drums. Albronda was subsequently replaced by Paul Whaley and the band recruited some extra members on guitar, keyboards and harmonica. But, according to the myth, they brought the band down to a power trio after witnessing Hendrix’ mind blowing performance with his Experience at Monterey. 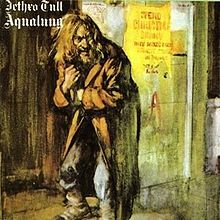 So Dickie Peterson, Leigh Stephens and Paul Whaley remained as the line-up for the first album, consisting of 6 songs with a total length of about half an hour. But don’t worry, just turn the record over again. The LP starts with the bands only real hit, a cover of Eddie Cochran’s blues song ‘Summertime Blues’. This must be the ultimate example of transforming a classic blues song into blues rock, played that hard that it’s drawing the outlines of hard rock. The first part of the song combines an extremely pounding rhythm section with a crying guitar, immediately giving you the opportunity to test your own sound equipment. The riff in the middle of the song reminds of Hendrix’ ‘Foxy Lady’, after which the guitar becomes a rollercoaster, steadily taking off and at its peak crushing down at high speed. This version beats The Who’s interpretation of the song hands down if it comes down to muscular strength and roughness. 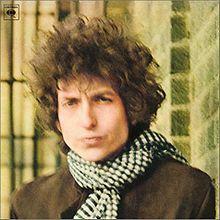 An even greater blues classic follows quickly, when B.B. King’s ‘Rock Me Baby’ sets in. Also covered amongst others by Otis Redding (a great idol of singer Peterson), this song sticks to the typical blues sound of the guitar with another pumping combo of bass and drums adding the rock here. If not already taken place, everthing goes mental on the third track, Dickie Peterson’s self-proclaimed drug anthem ‘Doctor Please’. Peterson experienced a lot of funny feelings in his head at the time and sings about them after a rough intro of Paul Whaley. The song is about 8 minutes long and offers you the best definition of the term ‘power trio’. The energy drips out of your speakers when guitar solos, kicking drums, the screaming voice of Peterson and heavy bass sounds keep interchanging before exploding together now and then. This also reminds of later stoner rock from bands like Kyuss. The next song, ‘Out of Focus’, lasts four minutes but was written in ten minutes according to Peterson. 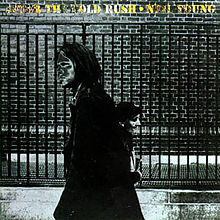 This song also has some psychedelic lyrics about angels in mystic dreams, propelled by a haunting guitar riff from Stephens. The roughness of the instruments and Petersons howling voice on this track marks the difference between Blue Cheer and more polished power trios like Clapton’s Cream. It’s followed by another cover, ‘Parchment Farm’, from jazz and blues pianist Mose Allison. This song offers some space for some extensive jamming just when you think the song has ended, while Peterson sings sightly funny lyrics like “I’ve been sitting over here on Parchment Farm. Ain’t ever done nobody no wrong. All I did was shoot my wife. She was no good! “. ‘Second Time Around’ offers you one last chance to pick up your air guitar, as the riffs are very sweet again. 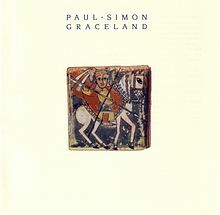 Towards the middle of the song, Paul Whaley throws in a wild drum solo, after which all the remaining distortion and psychedelic effects out there are used to close the album, definitely a personal favorite. After their debut album, the group was confronted with a lot of personnel changes, with their style developing towards a more commercial sound during the seventies and eighties. Periods of activity and temporary break-ups followed eachother, before breaking up for once and for all in 2009 after the death of Peterson, the only continuing member troughout the years. But Vincebus Eruptum remains an essential album to understand the concept of a power trio. Enjoy.